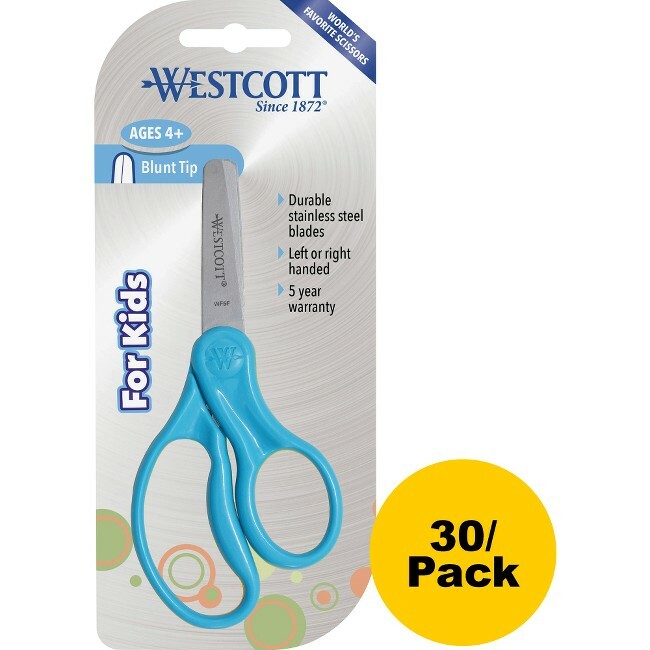 Plastic handle scissors feature a child-friendly design that's made to fit comfortably in a child's hand. Extra-strong, stainless steel blades with a blunt tip cut easily through paper, fabric, string and more. Molded, asymmetrical handles can be safely used by both left-handed and right-handed users. 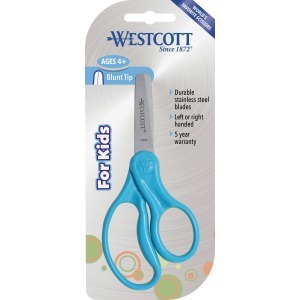 5" scissors are designed for children ages 4 and up.